All of those who love to drink milk and want an alternative to dairy products can go for its substitute and fabulous alternative Almond Milk. It has a surprisingly rich & creamy taste. Dairy milk is known for its high content of various vitamins and minerals, but almonds have been proven to contain extra nutrients and provide various health benefits. 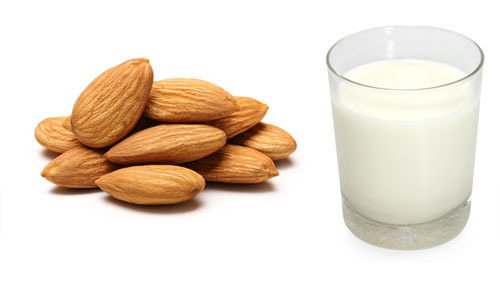 Almond milk prepared from almonds is low in fat but high in energy, proteins, lipids, and fibre. Here, on this page, we will see amazing health benefits of almond milk. It contains vitamins like calcium, iron, magnesium, phosphorus, potassium, sodium, and zinc. The other nutrients available in this milk include vitamins such as vitamin C, B-6, thiamine, riboflavin, niacin, folate and vitamin E. One cup of almond milk contains 60 to 70 calories. Also, it is low in protein, contains 1 to 2 gms in a cup. Also, it is low in fat and carbohydrates. It contains 50 percent of the recommended daily amount of vitamin E, which contains antioxidant properties essential to your skin’s health. 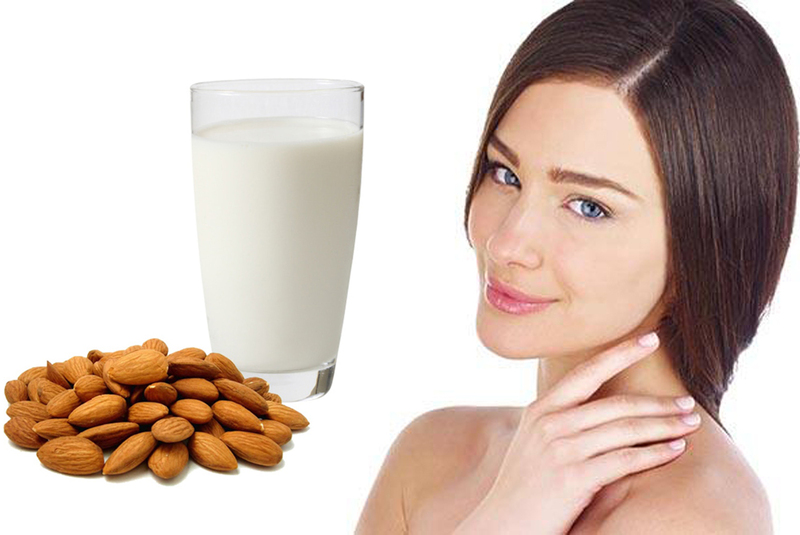 Almond milk can also be used to lighten skin and repair ageing skin. You’ll have to mix almond milk with egg white and lemon juice. This mixture can be applied to clean skin, and left on for 30 minutes. Once it is dry, just wash it off with lukewarm water. This is also good for dry skin. You can also lighten marks on your skin by mixing almond milk with yoghurt. Fruits that can be used with almond milk include banana and papaya. Both help clean up dead cells, skin tan, and acne. Almond milk is a rich source of protein and contains riboflavin which is a form of vitamin B, which helps to build muscles and protects skin and various other organs of the body to maintain and repair themselves. It contains calcium, which is required for maintaining and forming teeth and healthy bones. Almond milk has various nutrients and minerals which help in maintaining a healthy immune system. Consumption of almond milk helps in reducing and maintaining blood pressure. One cup of almond milk contains only 60 to 70 calories, as opposed to 146 calories in whole milk, and so very helpful to maintain your weight with regular intake of necessary minerals and nutrients present in milk. It contains almost one gram of fiber per serving, which is important for healthy digestion. Due to no cholesterol or saturated fat in almond milk, it keeps your prevents heart diseases and prevents high blood pressure. It is packed with Vitamin D which is a vital vitamin for cell function and immunity, and this has also been proven that it can help decrease the risk of Alzheimer’s. Wondering how to make almond milk? Homemade Almond Milk Recipe: This milk is prepared by grinding almond seeds together with water. You can also blend the milk with almonds to dissolve and merge its nutrition into it. Almond milk can be purchased from stores and it exists in different flavors including chocolate, vanilla, and plain. Generally, a flavored milk is preferred as compared to the plainer.